When it comes to shipping freight, there are a multitude of different options, and narrowing the field down to just one can be confusing. There are many different factors to consider including price, the type of shipment, the size of shipment, and the speed in which the shipment needs to be delivered. In this article, we’ll discuss the differences between LTL and FTL shipping, and help you determine which shipping method is the best fit for you. LTL shipping stands for less than truckload, meaning that the shipment will not take up an entire truck. These types of shipments typically weigh between 100 and 10,000 pounds. With an LTL shipment, you only pay for the space in the truck that you need. For example, if your shipment only takes up one-third of the space on the truck, you only pay for one-third of the truck. The rest of the truck will then be filled with other small shipments from other companies, making LTL freight shipping a great choice for small businesses that don’t ship in large quantities and are looking for something that is budget friendly. 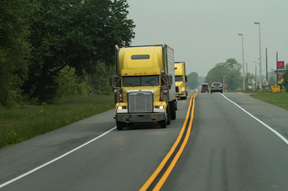 LTL freight shipments will often take a bit longer to reach their destinations, due to the multiple shipments on board creating frequent stops. If time is of the essence, you may want to consider FTL shipping. FTL shipping stands for full truckload, meaning that the shipment will take up an entire truck by itself. FTL shipments are typically used when there are ten or more palettes that need to ship. It’s generally pretty easy to know when your shipment needs to be shipped via FTL, but sometimes smaller shipments can also benefit from FTL freight shipping. If your shipment is high-risk, FTL may be the better option. FTL shipments stay on the same truck the entire time and aren’t transferred during transport, so there is significantly less risk of damage. This method of transportation is also much quicker than LTL, since only one shipment is on board and there won’t be multiple stops along the way. When deciding on the most appropriate type of shipment for your freight, always keep in mind the size of your shipment, your budget, how fragile the freight is, and how quickly you need your shipment to reach its destination. If you have a large shipment that’s delicate in nature and needs to arrive quickly, FTL is your best bet. If your shipment is small, sturdy, and not in a time crunch, LTL will fit your needs.